Rebecca M. Ross is a writer, teacher, playwright, blogger, and community activist. She lives with her husband, four children, and very large dog in the Hudson Valley. She loves coffee, Phish, and making people laugh. Hi Rebecca! I am thrilled to interview you today. You are a longstanding friend of mine on the OTD online scene. We first ‘met’ on the now defunct blog ‘Haven Not Heaven’. Today, we are both admins on the Off the Derech Facebook group. Could you introduce yourself in terms of your religious background? Hi! Thanks so much for including me in this very important project. It’s an honor and a privilege to be here. In a nutshell, I was raised in a liberal Conservative home–I went to public school and we didn’t keep kosher, but we lit shabbat candles and made kiddush. I also attended a Conservative Hebrew school and had a bat mitzvah. I dabbled in orthodoxy in college. When I got married, I kept a kosher home, but then ended up frumming out several months later after an intense trip to Israel. About a year later, my husband and I went off the derech. Several years later, a move from Brooklyn put us in touch with the local Chabad. We ended up frumming out a second time, making aliyah, and then moving back to the US a year later. We went off the derech a second time almost a year after returning to the States. What made you and your husband decide to go Off the Derech the first time? Was it a conscious decision or a slow process? The first time we just left we were living at the edge of Midwood, a community made up of both orthodox and non-orthodox Jews, as well as Mexicans, Russians and Pakistani families. We rarely went to shul and never integrated into the orthodox community. Because of this, very few people noticed when we went off. As for what made us leave, I think we were feeling very alienated for a variety of reasons. We’re not materialistic people, and our few forays into local shuls made us aware of the rampant materialism and snobbery that appeared to exist within the community. The shuls that seemed non-materialistic were too frum for us as well, so we didn’t really fit into either place. We tried to make our own Judaism for a while, hosting our like-minded friends for meals and holidays, but it wasn’t really practical in the long run. In the end, it was a negative mikvah experience that pushed me, and subsequently my husband, over the edge. I wear glasses. I’m also not frum from birth, or FFB. At this time, the whole mikvah ritual was still pretty foreign to me. Anyway, I went to immerse. When it was time to recite the blessing, I thought I was also required to recite some psalm or whatever and I requested the placard for the appropriate wording. I could barely see it, and the mikvah lady scolded me for my lack of knowledge. It wasn’t that I couldn’t read–I just couldn’t see. Considering that I was standing naked in a pool of water up to my neck, this was all pretty mortifying. I was a teacher, a grad student, and new to this lifestyle. After that humiliation, I stormed the fifteen or so blocks back to my apartment and told my husband I wasn’t going back. He supported my decision 100%. I should add that at this point in our experiences we really thought that it was our own fault that we couldn’t make it in the orthodox world. Orthodox friends and the rabbis we knew from Israel insisted that it was important that we become part of a community, which we hadn’t. Others said that being orthodox in Brooklyn is very different from being orthodox in other places, and that we should move to a better place. I more or less accepted that this failure was because of something I lacked. In many ways, I still believed at that time that orthodox Judaism was the way to go, and that the failure was with me, not the religion or the communities. People always tell those who go off the derech “don’t throw the baby out with the bathwater,” or in my case, the mikvah water. At that time, because I still felt very politically and culturally aligned with the Jewish world, it was easy to just slip back into Conservative Judaism. In your opinion, what are the main differences between someone who goes OTD from a frum background on the one hand and someone who was a Baal Teshuvah who left the fold? Based on my involvement with the extremely diverse off the derech community, it seems that those of us who are former Baal Teshuvahs (BTs) may have it a bit easier in some ways when we go off the derech. The benefit of having a secular education is huge. If a person became frum either during or after college, she/he has the benefit of a solid education and possibly career opportunities to fall back on, as well as the support of non-orthodox family and friends–assuming that the former BT wasn’t pressured to cut ties with them while becoming frum. How were your experiences with Chabad? Do you think they were sincere in their outreach to you? I need to separate my Chabad experiences in order to answer this question. There is a Chabad rabbi in Jerusalem’s Old City who does outreach but in a very non-intrusive way. I haven’t been in touch with him in years and I have the utmost respect for him. He never tried to change me or my views. He even took time away from his schedule to greet my family at the airport when we made aliyah. If he was local to me, I could see myself periodically visiting his Shabbos table–even as a secular person–without feeling at all judged or pushed into observance. My Chabad experiences for my second round of BT’dom were mixed. The local shluchim are nice people and I believe that, yes, they were completely sincere in their outreach. By that, I mean that they believe that they’re doing what God wants them to do. Here’s where it gets sticky. We had met the Chabad shluchim when we moved out of Brooklyn. Within a year, we were attending Chabad-sponsored events. The rebbetzin was cool and paid me a lot of attention, you know? Our families were friends, our little ones did Mommy and Me with the rebbetzin, the kids went to the camp that they ran. Now, if you recall, we were already open to orthodoxy, feeling that we’d “failed” previously. But here, wow! We could possibly do this! Combine this with a dying mother-in-law, a challenging pregnancy, and a few months later, an infant who needed to be hospitalized for a short time. My mother-in-law died soon after that. (No, that’s okay, she was mean. No, I’m kidding. No, wait. I’m not.) We were planning to make aliyah. It was an emotionally charged time in many ways. There was another Chabad family who also supported us, albeit differently, in our quest for greater observance. Where the rabbi and his wife held back from pushing us, this family pushed. 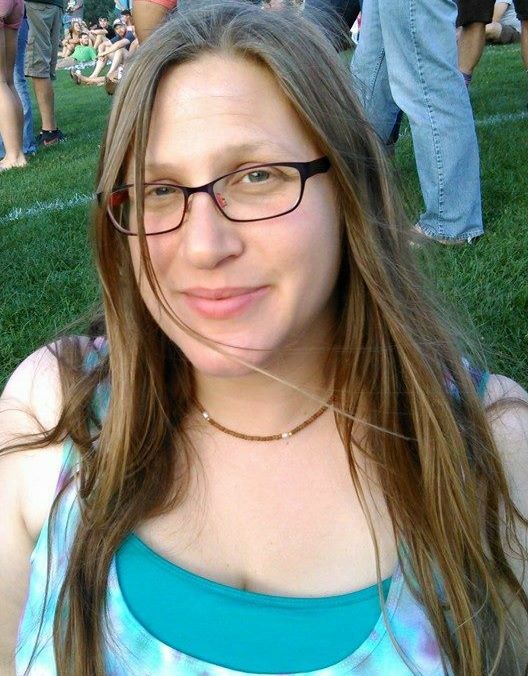 I was told that I could no longer attend Phish concerts–something I was doing long before I was frum–because it was “unbecoming of a bas yisroel.” When my daughter, then in kindergarten, talked about going to college and becoming a veterinarian, I was told not to worry, that she’d “grow out of it” and would “want to go to seminary with the rest of the girls.” I remember cringing because that seemed so wrong for my life and the values with which I wanted to raise my children. The wife had appointed herself as my mashpia–a spiritual mentor of sorts. At the time I believed she was a close friend. In retrospect I realize that she monopolized an inordinate amount of my time and energy, inserting herself into too many places in my life. It wasn’t until my husband and I decided that we were not going to send our kids back to the Chabad school and that we were done with being frum, that I realized that she wasn’t really a friend at all. She dropped me faster than a dog drops a stick when a steak comes off the grill. When I look back, it’s really clear what happened. The answers we sought were provided for us by Chabad. The friendship we needed was supplied by Chabad. There was a lot of love circling around. While some of it was blinding, there were still the occasional hints that something wasn’t one hundred percent kosher. How did your children react to the religious transformation in your household? There was a lot of relief all around when we formally quit orthodoxy. My daughter had been the target of bullies in her first grade class, who told her that she wasn’t Jewish because she had a dog and Jews don’t have dogs. My oldest son (then 4,) who attended a pre-kindergarten program at the same school, was upset to learn from his teachers that “men who don’t wear yarmulkes are not Jews.” He came come devastated. “Mommy, is Grandpa Jewish?” he asked me that day. I was livid when I found out that this was the nonsense that they were teaching my children. After these and other experiences, my children were thrilled to find out that they’d be attending a public school the following September with art, sports, music, and science. My daughter’s only class trip during her year in the Chabad school was to a cemetery to visit the Lubavitcher Rebbe’s Ohel. My husband and I were like “who the hell takes a class of first graders to a cemetery?” She was thrilled to go on real trips with her public school class. My other two kids were much younger, so their memory of our orthodox days is very limited. One of my smaller boys would occasionally ask why we no longer hit the table (you know, like when singing shabbos zmiros.) None of my kids were upset about giving up Shabbos observance. For them, not feeling trapped in our home for Shabbos and holidays was a treat. Being able to drive on Passover and Rosh Hashanah to share a meal with family and then go home was wonderful. When we were observant, we rarely saw family for holidays. Those are the memories kids should have–not stressful three-day long holidays where you’re stuck and bored. I think the most difficult part of the religious transformation for my kids was telling my oldest son that he wouldn’t be wearing tzitzis to kindergarten, since he seemed to like them. After a week, it was no longer an issue–sort of like weaning a toddler from a pacifier. Do you think there’s anything that the frum world could have done to keep you “on the derech”? I’m going to twist that question around a bit. Despite the whole idea that a baal teshuva is supposedly on a higher madreiga (level) than someone who is FFB (frum from birth,) it seems that the frum community, with the exception of the Modern Orthodox community, is not quite as open to this belief as they profess. A frum doula once told me that she was either a BT or a convert, I can’t recall which at the moment, and that I should hide my BT status from people. “Don’t ever tell anyone. It will affect your kids,” she said, implying that our family would be second class citizens in the orthodox world. I bring this up because I think that many kiruv professionals believe that they can ‘save’ non-orthodox Jews. There seems to be the belief that if you can’t make it in one part of the orthodox world, perhaps you had the wrong influences and you really belong with the Chabad crowd, or the Aish crowd, or the Ohr crowd, etc. What the frum world and the world of kiruv fails to realize is that what they’re doing is essentially taking a person and telling them that they have to change everything about themselves. Here’s a frum person–become like them. Take everything about yourself, everything that makes you unique and different, and get rid of it. Hide it if necessary. Embrace this lifestyle fully, that’s what Hashem wants you to do. As a result, BTs lose themselves, bit by bit, in order to integrate into a community and gain acceptance. The things that the wonderful rabbi and his wife used as an “in” with you–like maybe claiming that they, too, were hippies at heart or Deadheads, end up becoming the very things that the community as a whole doesn’t really accept. To (finally) answer the question, despite my personal lack of belief, I might have been able to remain part of an extremely liberal-progressive educated observant community of like-minded individuals. The problem is that this type of community doesn’t exist. Even as a kid, I didn’t like feeling forced or coerced. If it was my choice, it was fine. But once I start feeling like non-essential rules are being shoved down my throat at the expense of my personal identity, I’m going to question them and I’m going to reevaluate their importance in my life. Perhaps if the frum community could find a way to tolerate and embrace people who don’t fit the mold, it might have worked for me. Then again, by the time I left orthodoxy for the second time, I had completely lost faith in not just the community, but the observance of the religion itself. Did your own experiences impel you to start your blog, Jewish Outreach: What Your Rabbi Isn’t Telling You? The inspiration for my blog came from a few places. I consider myself fortunate to have found an online community of formerly orthodox individuals, some who were also former BTs. I heard disturbing stories about kids being scooped up on the university and high school level, some after little or no exposure to practicing Judaism, and then being sent off to study in yeshivas, far from parental influence. I thought of my concern for my own children, and the religious grooming process that seems to be used in kiruv camps, and I was horrified. Further research into kiruv tactics revealed a striking similarity to those used by missionaries from other non-Jewish religious groups. I realized that I had the tools to write about deceptive Jewish outreach. I tried to sell a few stories to news sources and websites, but nobody wanted listen. Instead, I started a blog. Although I’m currently on a blogging hiatus, I still have people emailing me about the topics I’ve written about, some telling me stories about their own experiences, and others asking for advice on what to do now that their children are being recruited on campus. I’ve had several rabbis and kiruv professionals in the orthodox world approach me via email after reading my blog. Some condemned me. A tiny minority admitted to disagreeing with some of the aggressive tactics used by the larger kiruv organizations. Do you, as an ex-BT, face the same issues as FFB people when it comes to a purpose in life? Do you feel like you were lacking a purpose in life when you went OTD? Or was this never an issue? The notion of having a set purpose in life has always been pretty foreign to me. I’ve never believed that individuals are born for a specific reason, other than that a viable life was formed through biological efforts. When I was frum, I found the whitewashing of women’s roles in orthodox Judaism to be troubling on so many levels. The religious apologist view promoting women’s subservience was peddled under the guise of feminism. As a human, my worth shouldn’t be based on how efficiently my household is run, nor how many babies I birth. The idea that family harmony was in my hands and depended solely on my ability to prepare my home for Shabbat and get those candles lit on time, in addition to paying excessively strict attention to the laws of taharat hamishpachah (family purity) made no sense to me. I upheld them (for as long as I could stand it) but it made no sense. (I know that there will be readers who might say “well, we’re not meant to understand God’s laws/reasons/whatever, but that, to me, is a cop-out.) My purpose in life is not to refrain from singing in public to prevent men from sinning, nor is it to dress modestly because the frum community this week, or last week, or two months from now has declared or will declare that my naked collarbone or my uncovered knees have caused someone to die a horrible death. As I journeyed from the frum kingdom, I realized that for all of the claims that the orthodox world made about how women were sexualized and objectified in the secular world, never in my life had I felt as objectified as I did while frum. Never have I felt like I had to focus so much attention on my outward appearance. No matter where I looked or what I did in the frum community, it wasn’t my spirituality that was important–it was my gender and my mode of dress. In retrospect, it seems that my “purpose” in life as an orthodox woman–as a BT–was more about wearing the right costume to the masquerade than anything else. I’ve always thought that I should live a moral and ethical life, and at times that seemed antithetical to some of the values I was taught while orthodox. Post-orthodox, I can say that I strive to live a meaningful life that is as unique as I am, but I don’t believe that I have a set purpose. What role does Judaism play in your creative writing? And could you tell us something about your current writing project(s)? Although I write about many topics, several of my published stories have dealt with Jewish themes, from mikvah to Israeli-Arab relations. I’m also actively working on a novel-length fictional work which is based on accounts of Jewish history. Judaism plays a huge role in much of my writing, but mainly because it figured prominently in my life for many years. My goal in my fiction isn’t to create nice stories that end happily ever after. Instead, my aim is to challenge people’s commonly held beliefs so that they have the opportunity to see things from a different perspective. I’ve found that this angers some people, but it also makes them think. Without that initial anger, there’d be no evolution of thought. If there is one message you could pass on to prospective BTs, what would it be? There is nothing wrong with exploring your religion and culture but don’t check your brain at the door. Wisdom is derived from many sources, not one source and not at the risk of excluding all else. Question those who expect blind acceptance and do your own research from unbiased sources. Just because someone wears the frock of piety, doesn’t mean that he/she has your best interest in mind. You shouldn’t have to change yourself, toss out your books and your music, and/or stop wearing your favorite jeans because someone in a black hat tells you that this is what God wants, or that this is the path to being a good person. And when that nagging voice in your head says “hey, this isn’t really me,” don’t listen when your rabbi tells you that it’s just the “yetzer hara” (the evil inclination.) Trust your instincts. Be yourself. This should be must reading for all college freshmen. Better yet, campus kiruv should be banned. miriam – i’m in almost the same position, a year behind you. i have some resources. let’s talk privately. rebecca – i would like to email or call you personally to help advise how to save my daughter being recruited…while there is still hope. please!!! how to get in touch w you?